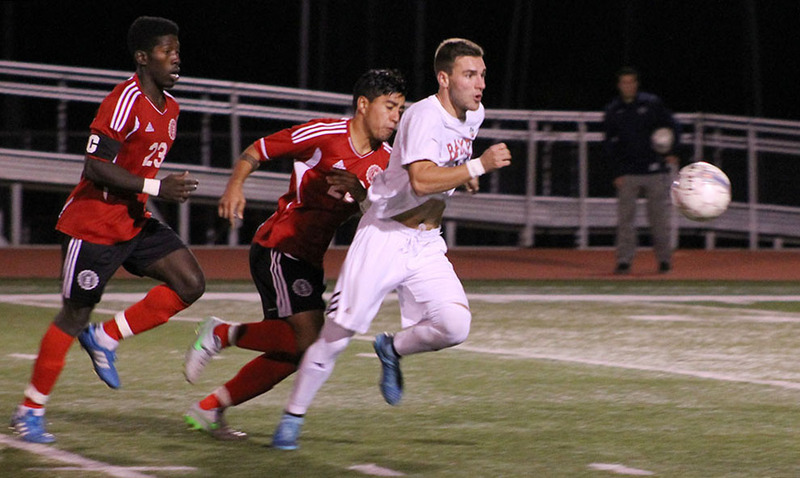 The men’s soccer team fought hard for a 2-1 victory over the visiting Grand View Vikings Tuesday night in the Heart of America Athletic Conference tournament semifinals. 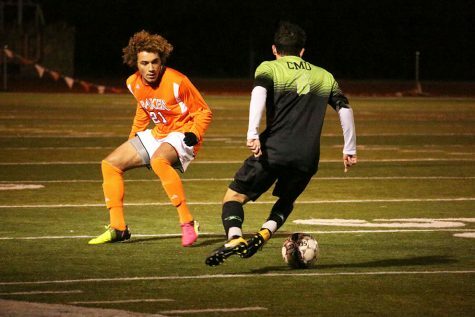 A late Baker goal propelled the Wildcats into the Heart title game for the third straight season. The No. 3 Wildcats came into the conference tournament as the top seed after finishing the regular season in first place. 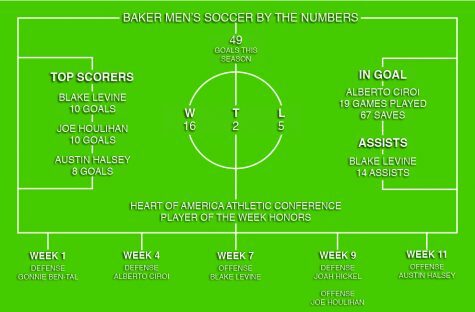 This gives Baker would have home-field advantage throughout the Heart tournament. 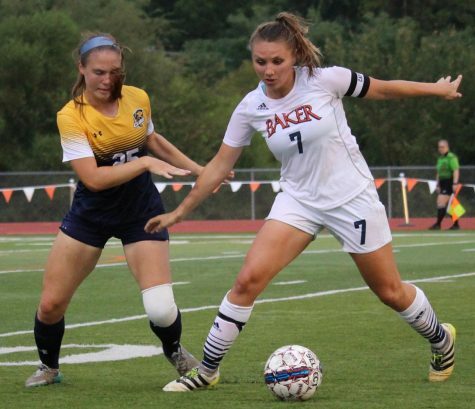 On Saturday, Baker began the tournament by beating the William Penn Statesmen 2-0 with solid defense and two first-half goals. 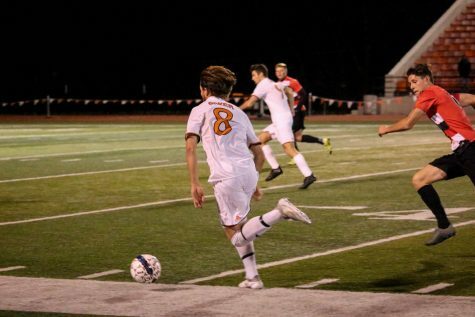 Junior Keaton Anchors scored in the 12th minute and junior Kyle Young used his head to score in the 35th minute. After the two goals Baker had everything it needed to hold on for a safe victory. The win set up the matchup with Grand View on Tuesday night. The Vikings came into Liston Stadium as one of the hottest teams in the Heart, winning six of their last seven. 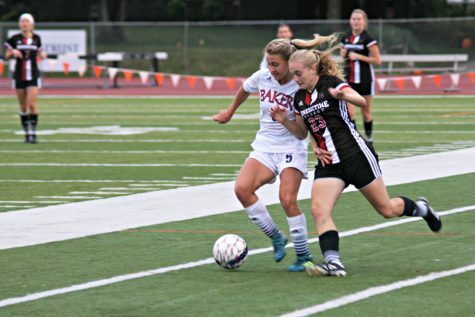 Baker and Grand View had already played a tight game in the regular season with Baker winning 1-0 in Des Moines, Iowa, on Oct. 10. Baker dominated the possession throughout the first half, but Grand View capitalized first. 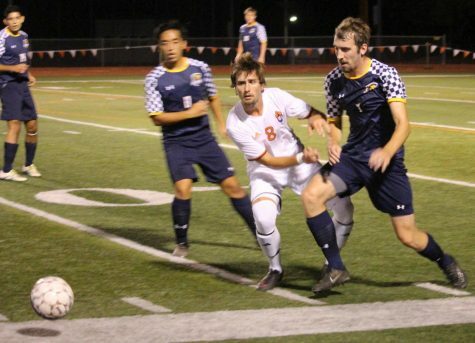 The Vikings drove down the left side of the field on a counter attack and Simone Raiola beat Baker’s first team All-Heart goalkeeper Ryan Emme to give Grand View a 1-0 lead in the 14th minute. 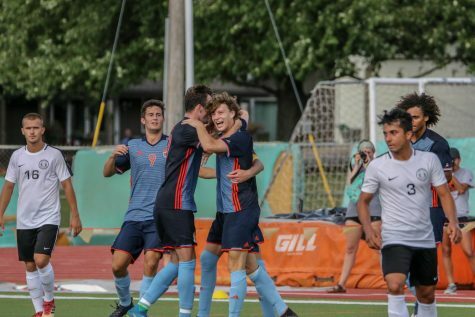 Baker responded quickly in the 27th minute when senior Amer Didic, the Heart Most Valuable Player and Defensive Player of the Year, scored off of a long throw-in from senior Andrew Miller to tie the game 1-1. Didic now leads the team with nine goals. The tie score held for the final 28 minutes of the first half. Baker continued to put the offensive pressure on Grand View in the second half. The Wildcats even had a goal called back due to a foul in the box. Grand View had two great chances down the stretch. One was a free kick from Raiola that hit the right post and bounced back into play. The Vikings had an open goal on the rebound but the shot was pushed wide right. Then in the final 20 seconds Grand View was awarded a free kick right outside the Baker 18-yard box. The Wildcats were able to stall in front of the Vikings, buy some time and force a missed shot.. The Heart championship game will feature two of the top five teams in the NAIA. 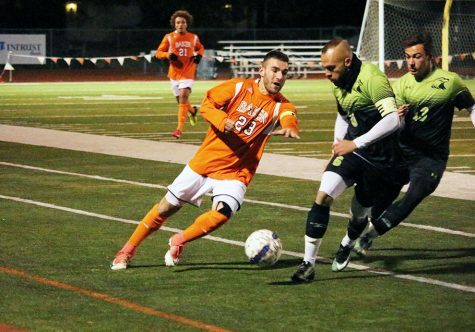 The Missouri Valley Vikings beat MNU 3-0 on Tuesday. 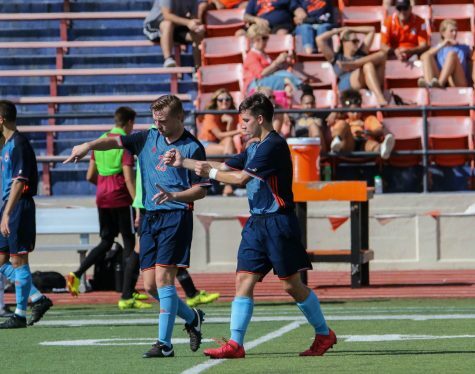 Baker’s only conference loss of the season came on the road at Missouri Valley on Oct. 24. The championship game is set for 7 p.m. on Friday night at Liston Stadium. 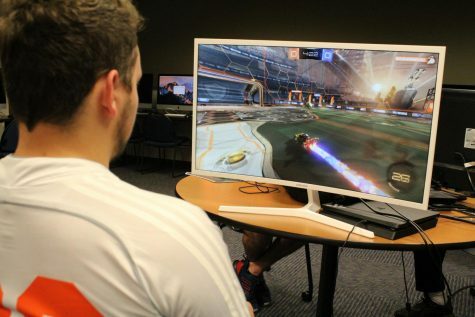 An automatic bid to the national tournament is on the line.